A 19th "Om Nom Drawing" (shown in above screenshot) has been added in ver. 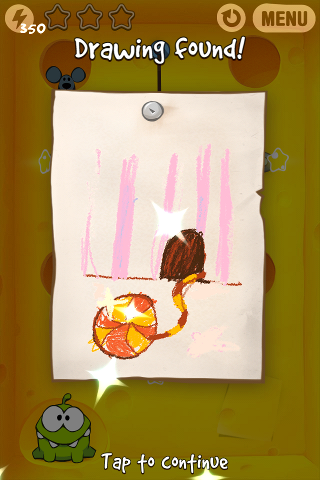 2.3 of "Cut The Rope". (For Android players) Thanks to those who posted tips in the comments, the new hidden drawing is in the same Level 15-13 but it's just left of Om Nom. 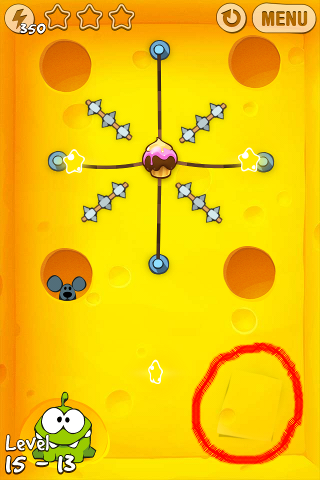 A NEW character "mouse" is introduced and it can catch the candy and move it to different holes, just tap on the mouse to release the candy.